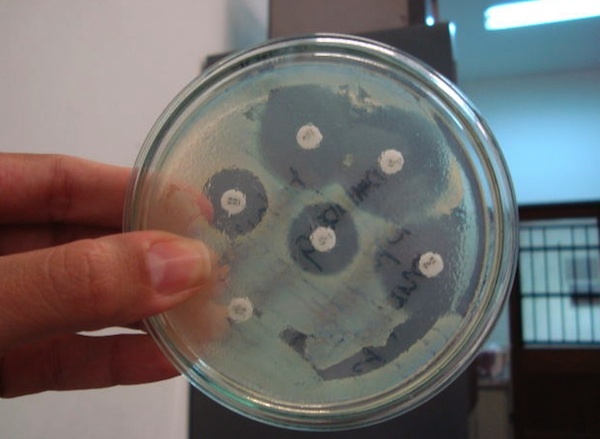 Everybody has heard at some point of the horrifying amount of bacteria that can build up on your kitchen chopping board or around your bathroom toilet seat. The fact is that these are pretty obvious places for bacteria to accumulate. Your chopping board garners bacteria from all kinds of food and in particular raw meats and your toilet seat is, well… a toilet seat. Far away from the common areas of habitual cleaning, you’d be surprised how much bacteria is present on a home computer keyboard. This is in part due to the fact that it is not an area that is regularly cleaned but mostly it is the shape and use of the keyboard that make it prone to bacterial build-up. Due to the gaps between movable keys it is extremely difficult to clean effectively. Furthermore, it is constantly being touched by unclean fingertips. One tip for keeping a keyboard clean is to use a very light antibacterial spray and a toothbrush. Just make sure it’s not being used by someone. Oh cruel irony, the very thing you are using to clean up stains could well be spreading even more bacteria over the area. In fact of everything in your home, wiping cloths and kitchen sponges harbor more bacteria than almost anywhere else. It’s not at all surprising to be honest considering that they are regularly swept across areas of bacteria build up. To be honest you’re not going to try to stop your cloths and sponges picking up bacteria (that is their purpose after all) you can make sure that they aren’t breeding more bacteria between uses. Cleaning cloths fairly regularly at a reasonably high temperature will help to reduce build-up of bacteria. As a side note, always make sure to wash your hands thoroughly after using a kitchen wash cloth. The bane of any mother is to realize that their children’s toys are covered in bacteria. In fact, you will actually find more bacteria on a child’s toy than you would on your toilet seat. Children tend not to wash their hands after eating and will often get sticky food from their hands all over their toys. As a result, bacteria will build up quite considerably over time. To get around this, make sure that your children’s toys are cleaned every so often. Hard toys can be washed in a basin together or wiped down with disinfectant wipes while soft toys can generally be put through the washing machine. Just make sure to check the labels. It’s obvious when you think about it, but few people will take the time to clean out their pets bowls every time they are feeding them. This applies to their water and food bowls, and if you give them milk then make sure this is not left to sour as not only will it begin to smell, but will also breed copious amounts of bacteria. You wouldn’t think of your phone being an ideal place for bacteria to accumulate, but it does make sense when you consider what you might have been touching immediately beforehand in your kitchen. Food preparation allows a great deal of bacteria to spread from the food to the countertop to your hands and few people will stop to wash their hands when the phone is ringing. Add to this the fact that your mouth is generally help very close to the speaker and more bacteria can spread onto the phone. As kitchen phones will most likely be made from plastic they are generally easy to clean. Simply wipe down with anti-bacterial wipes fairly regularly and you will be making a major difference. Jeremy Porter runs an office cleaning company. He originally started out as part of a franchise. Good tip about sponges and wiping cloths. I used to rinse them out and throw them under the cabinet til next use but now I wash them more thoroughly between cleanings and try to use disposable cloths when possible. This makes me want to Lysol my entire house! I’m willing to bet the tv remote control has bacteria on it as we’ll, not to mention fridge and microwave doors! Ugh!